1. When is Activity.onDestroy() invoked ? 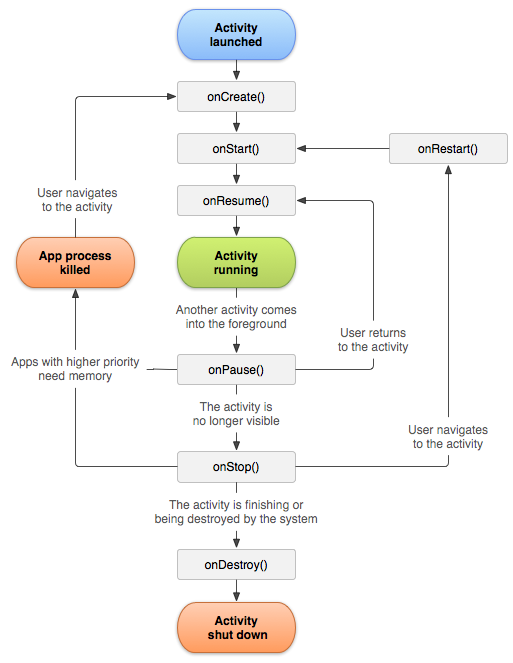 First, check the Android activity lifecycle: as you can see, Android can kill your application without invoking onDestroy() if “an app with higher priority needs memory“. In fact, the javadoc for onDestroy() also states that “There are situations where the system will simply kill the activity’s hosting process without calling this method (or any others) in it, so it should not be used to do things that are intended to remain around after the process goes away“. Note: onCreate() may actually not be invoked when the application is started again because it’s up to the Android OS to decide whether or not to kill your activity just after invoking onStop(). So if onCreate() is not invoked, this simply means that your activity was still in the background in a “stopped” state. Note: this time, onCreate() is always invoked because hitting the BACK key destroys your activity. 2. When is Activity.onRestoreInstanceState() invoked ? If you check again the various scenarios above, you will see that onSaveInstanceState() is indeed not always followed by onRestoreInstanceState(). 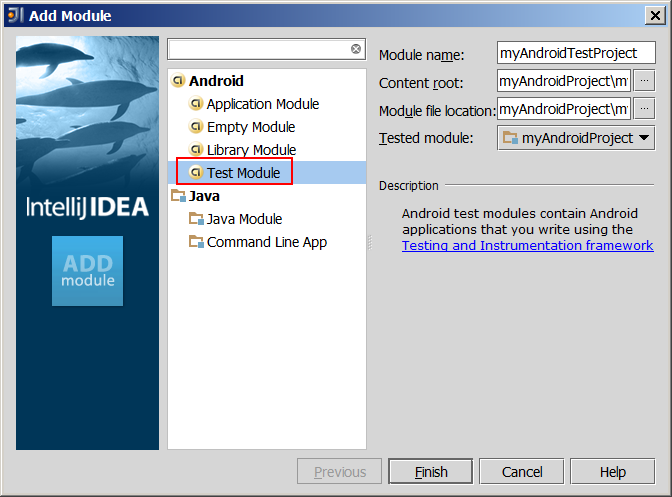 It turns out that running Android unit tests in Intellij is not as easy as creating a unit test in the [ANDROID_MODULE_HOME]/src folder. 1. 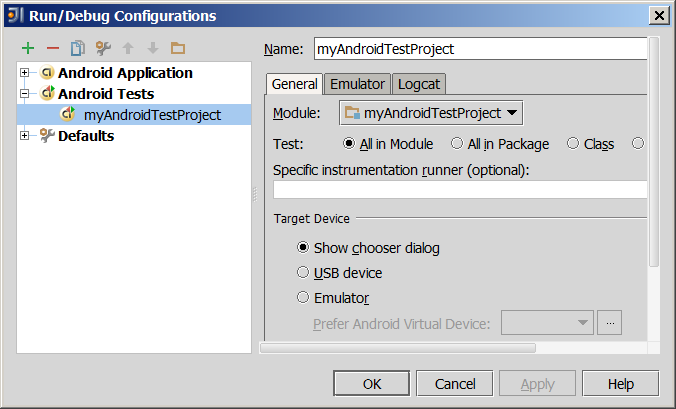 What is Android toolbox ? So… what is this toolbox binary ? Toolbox is like a “swiss army knife”: it allows you to run multiple commands from a single binary. So instead of having different binaries for each standard Unix command (like ls or rm), you can have a single binary (toolbox) that can execute all these commands. Check the toolbox git repository to see which commands can be used. A popular alternative to toolbox is BusyBox, which provides even more functionnalities. 2. How do toolbox symlinks work ? The question is: since we have dozens of symlinks that reference toolbox…how does toolbox know which symlink was originally executed ? It turns out that is actually easy to know, and I’m going to write a Linux bash script showing how you can reproduce this behavior. cmd1) echo "executing cmd1 with args=[$*]"
cmd2) echo "executing cmd2 with args=[$*]"
Of course, this concept can be easily ported to C/C++. 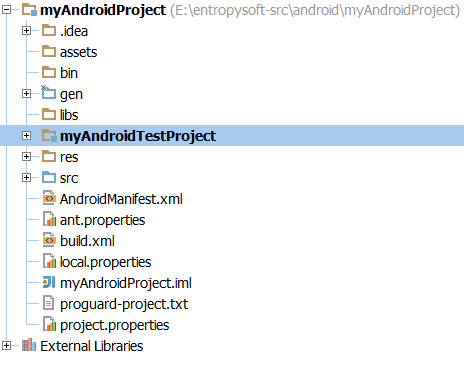 In my previous post, I explain various methods to retrieve the Android API documentation. CHM documents come with a built-in menu. CHM documents come with an index. CHM documents come with a search feature. 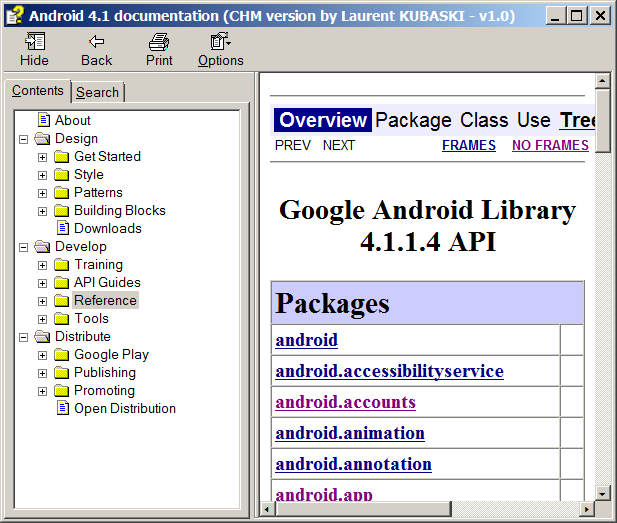 The other thing is that I also always wanted to create my own project on code.google.com… so after hours and hours of HTML scraping, here it is, the full Android documentation in CHM format.